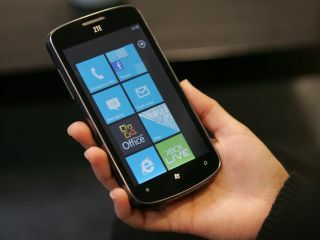 ZTE has confirmed to TechRadar that it will be launching a new range of phones at Mobile World Congress 2012 as it looks to extend its brand presence in the UK market. The company is a relatively unknown brand on British shores, but plans to release a slew of new phones under its own name in 2012. "You'll see in Barcelona another step forward [with our range]; it's an exciting time for us. We're well-positioned and have great relationships with Google and Microsoft. "You've got a huge population of users who were orientated around brands but now also around an operating system, but now working with Microsoft and Google we feel like we can focus on apps and usability, and really play in that space." "ZTE is moving its design, manufacturing capability and understanding to the market as an original equipment manufacturer (OEM). The Tania has been announced today, which is centred around a sleek design form factor. "However, there are only so many ways to differentiate yourself in the market: brand is one, and we've got a lot of work to do there, but the other is around value - aiming for the best balance of cost versus value for money," he said. "We want to have higher price tier products, but not ultra-high; we don't see that as our remit." "Lower tariffs are key growth area in the subsidies market, and one of the key areas of differentiation is making sure you can deliver a range of handsets in that space that appeals to a wider variety of customers - from youth to the newer middle age market of smartphone users," Edwards revealed. "Things like NFC are key drivers where the smartphone revolution can really pick up pace - NFC won't be a key differentiator for ZTE, but it is going to become a utility and we need to be able to put it in devices and make it accessible to all."